Click here to access a downloadable copy of the Restorative Practice Resource Project. 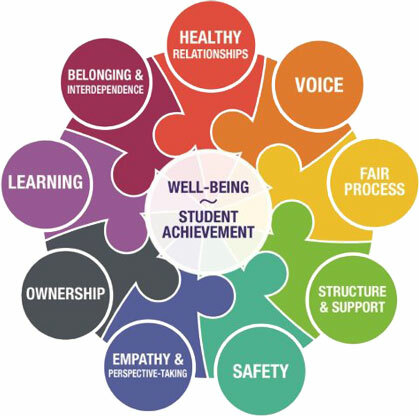 We hope you find our work useful in moving your individual, school or board Restorative Practice implementation forward in some way. The materials contained in this resource are, to the best of our knowledge, free of copyright unless otherwise indicated. The materials are meant to be integrated into your content and goals. If we have missed something in this regard, please let us know. We wish you well on your restorative journey. In these interesting times in which we live, the restorative work is more important than ever. And, finally, please feel free to share this work with anyone else you feel might be able to benefit from it. • to disseminate the findings to support the effective implementation of restorative practices throughout the province. On May 2nd 2013, the Restorative Practice Symposium was held at Cobourg, Ontario and became a center-piece of the data collection for the current project. The impetus for this gathering of participants: students, teachers, support staff and administrators from 14 school districts in the Southern Ontario Region, emerged from a goal to understand the leading restorative practices used in school districts across the region. All invited participants were known to have experience with restorative practices in school settings and were selected based on that expertise. The Symposium led to the publication of a Report on Practical Strategies for Implementation of Leading Restorative Practices in Ontario Schools, which is intended to be a practical guide for students, educational staff, and administrators. A copy of the report is in the appendices. The Restorative Practice Consortium is truly a COMMUNITY OF PRACTICE, inviting comments, stories, inputs, and also offering coaching and monthly conversations for learning. Also available are posters and brochures that feature the "Nine Elements" of RP.